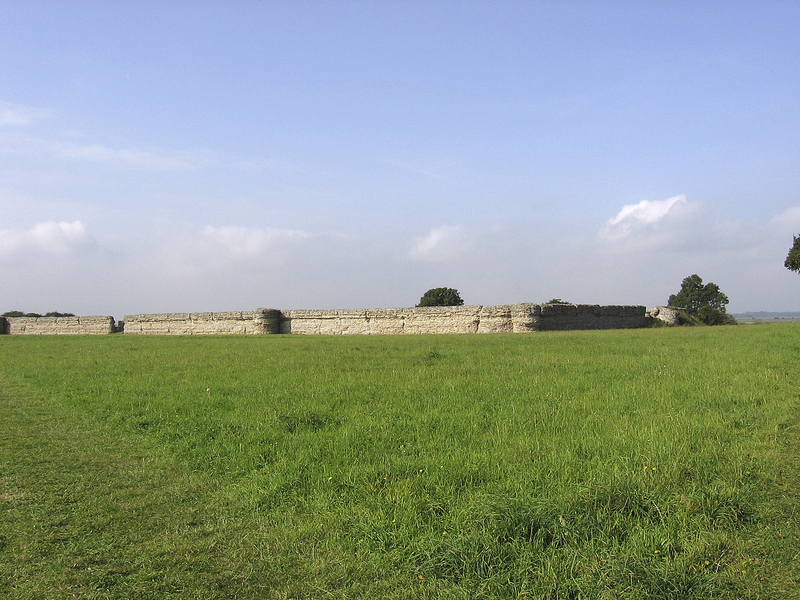 Saxon Shore Fort built around AD 280 as part of a chain of forts along the southeast coasts to protect from seaborne raids. Garrisoned by a cohort of cavalry troops. In Roman times there was an inlet from the North Sea where Great Yarmouth is today and the fort here guarded the entrance inland with Caistor-by-Sea fort on the other side. Fort Walls – three massive walls built of flint with layers of red tiles remain at almost original height. They overlook the River Waveney to the north where the fourth wall slid down the riverbank. The fort walls enclose 7 acres (3 hectares).